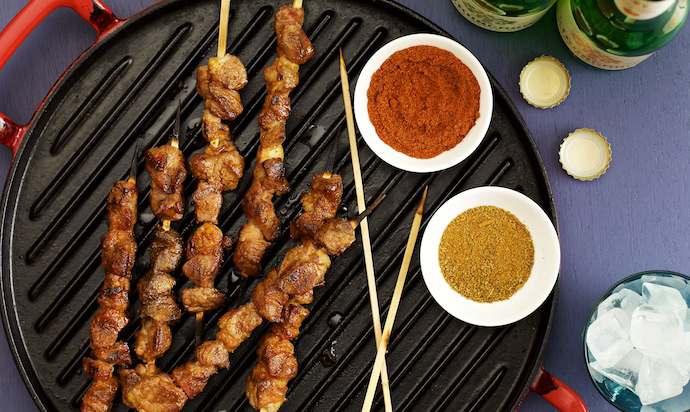 Greek souvlaki, Turkish kebabs, Japanese yakitori, Indonesian sate, Peruvian anticuchos – what do all these traditional dishes have in common? Skewers, of course. It seems as though every culture has it’s own version of food threaded on a stick and roasted over a flame. Although food on a stick has been around since man invented fire and is nothing new, it has only recently soared in popularity worldwide. So, from street-food joints to fancy 5-star restaurants – most businesses in the food serving industry have food on a stick as a regular part of their menus. And, that’s no surprise to anyone who has ever tried this unique type of serving food. Food attached to skewers is genius if you ask me. You can easily eat it on the go without having to dirty your hands or enjoy it as a starter that helps curb your hunger without filling you up before the main course. Plus, it just looks so appetizing on your Instagram feed, right? Even certain types of dessert are more fun when served on a stick, like for instance marshmallows, corn on the cob and strawberries. However, there’s another less obvious reason why wooden skewers are becoming increasingly popular, especially when it comes to serving take-out food. They are eco-friendly and cost-efficient! Commonly made of renewable bamboo, wooden skewers are perfect for enticing the attention of eco-friendly consumers. What’s more, they can be conveniently used without the need for additional items such as wraps, plastic forks or knives. As a result, the use of skewers can help reduce take-out business expenses as well as the waste generated by take-out packaging. Apart from wooden skewers, there are also metal ones which can be more expensive. However, the fact that metal heats up, means that metal skewers can help speed up the cooking time. Besides being available in two different materials, skewers also come in different shapes. And which shape is the right for the job depends on the ingredients being used. For instance, ground meat foods such as kebabs are best prepared on wide, boat oar skewers that prevent the meat from flipping when you turn it on the grill. On the other hand, round skewers are preferred when grilling vegetables or sticking fruit or other types of dessert. 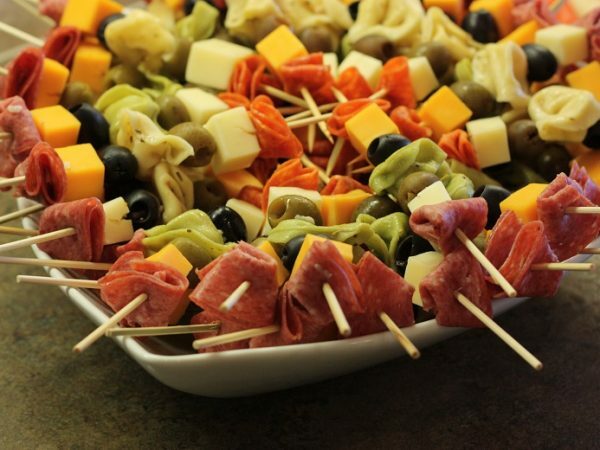 But whichever skewers you choose, when serving food on them, it’s advisable to use odd numbers of the food elements as it tends to look more appealing than using even numbers.